Simply put — we’ll manage your PPC campaign (pay-per-click) campaign, so you don’t have to! We’ll do the keyword research; build the campaigns; monitor the progress; and send you the reports. All you have to do is sit down with us to discuss what your goals and budget are. We’ll use our expertise and experience to help get you the highest click-thru-rates; the lowest cost-per-click; the highest conversions; and RESULTS you can be happy about! After all, if you’re paying for leads, you want them to count! Pay per click marketing is paid marketing or keyword advertising. In essence, you are paying for advertising space in the search results to increase traffic and conversions on your website. Depending on the competitiveness of your keywords, each click could be $.01 or even upwards of $50+ per click. Some of the most competitive industries for AdWords are: Attorneys, Insurance, Loans, Conference Calls, Software… and this one, which puzzled me… Cord Blood? Hmmmm…. 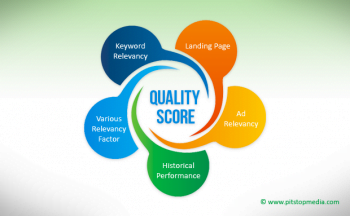 The secret to success with Adwords is the Quality Score. 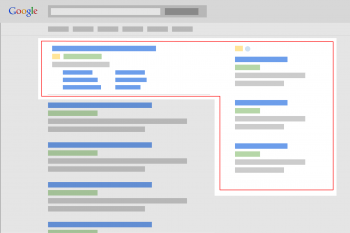 Google is designed to deliver content and ads that are relevant to the user; therefore, Google grades your campaign’s ads on relevancy, historical performance and landing page criteria. The quality score of an ad determines how much the advertiser pays for a given click. The higher the score, the lower the cost. The reason for PPC is to increase traffic to your site… ultimately to drive more business. The more visible you are when someone is searching, the more opportunities you have to get their attention. Page one of the search results garners most of the attention and the clicks. So, everyone’s goal is to show up on page one of the search results, right? Well, that’s pretty tough to do when you’re new to the game or you don’t have solid organic (free) rankings. We like to compare this to running… SEO is a marathon, PPC is a sprint. It takes a long time to rank well for competitive keywords in order to garnish those free or organic clicks to your site. So, while you’re optimizing your website to rank organically, pay-per-click marketing can get you to page one faster. Yes, you have pay for every click, but it is necessary to boost your presence. Furthermore, if you show up in the paid ads and the organic ads, you are twice as likely to get a visit to your website. The more traffic you drive to your site, the more potential customers you have. And, the more engagement from visitors to your site, the faster you can also start ranking better organically, too.